How Do I Pay With A Check? To identify the amount you owe, first refer to your invoice which labels the amount owed for the most recent billing period as well as the total balance owed. However, your email invoice only lists the balance incurred during the most recent billing period. 2. 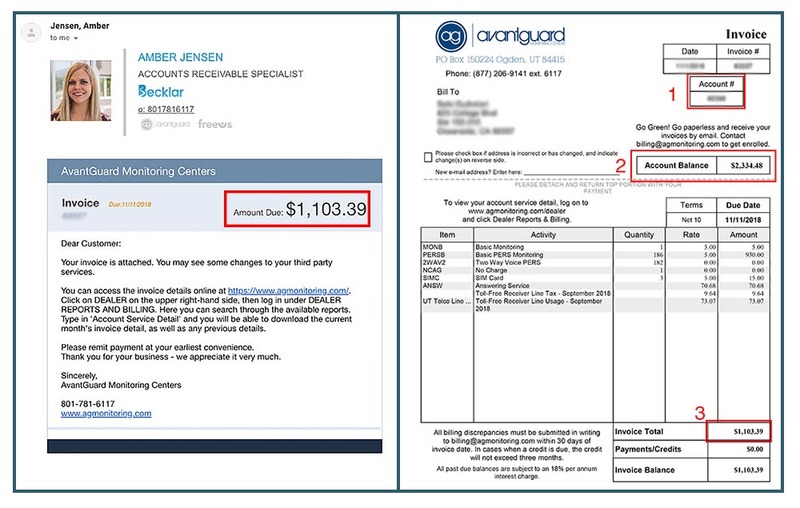 Once you have identified the amount owed, checks must be written out to AvantGuard Monitoring. 4. Remember to mail your payment five business days before the due date to ensure it will be processed on time.